The Spring market continues to buzz in Ottawa real estate, with the number of sales up over 13% in April in spite of inventory levels being down 23% over this time last year. Home buyers are seeing more competition, which is good news for sellers. 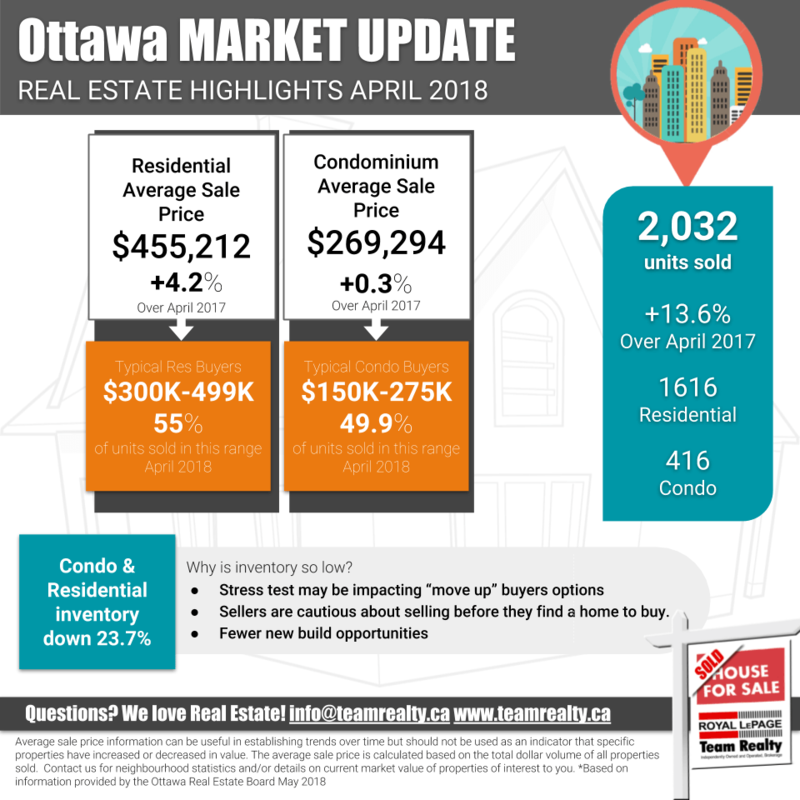 Certainly we are seeing more multiple offers and higher sale prices, however, with prices still reasonable compared to income in Ottawa real estate these factors aren’t stopping buyers.